SinoVoIP has just launched BPI-AI-Voice development platform for speech recognition on Aliexpress for $169, and excluding the different PCB color, it is a clone of the official $299 Microsemi AcuEdge Development Kit for Amazon AVS, which is based on MicroSemi ZL38063 audio processor and comes with two microphones. 4x on-board digital microphones (AKU441) supporting a 2 microphone configuration for 180° and 360° audio pick-up. Debugging – JAIB2/2 auto tuning headers, micro USB port. The original kit comes with a pillar made of plastics, assembly hardware, and documentation, but the BPI-AI-Voice is sold standalone. Both boards can connect to a Raspberry Pi 3 boards with power supply and micro SD card, as well as a JBL Clip speaker to have a fully working Smart Speaker kit. SinoVoIP directs us to the Microsemi’s documentation on Github for the kit. 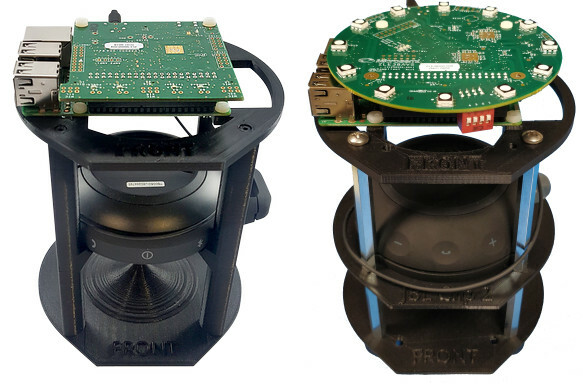 The board has been tested and approved by Amazon for microphone solution for both 180° & 360° audio pick-up, and the reference code complete Echo functionality, and developer access to Alexa Skills. The kit also gives access to Microsemi’s Automatic Speech Recognition Assist audio enhancement solution with Amazon’s AVS. 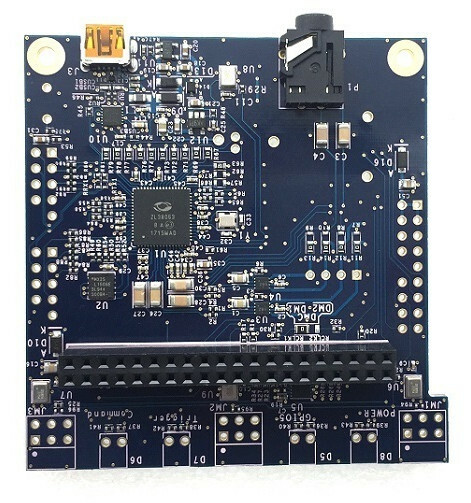 One reason the company may have been allowed/asked to design a clone of the board is that Microsemi has been working an updated version – ZLK38AVS2 pictured on the right above – with ZLE38AVS rev. 4.01 round-shaped board which adds an I2C LED Controller with 12 RGB LEDs, a ZL38090 USB to I2S bridge, and four-position DIP Switch for configuration options.